On Sunday evening (January 28), from 18:30, a welcome reception will be organized. It will be a nice opportunity to meet among participants, lecturers and the organizers, while tasting the wines of the region. A Jazz concert featuring international jazz artist will take place Thursday 1st February in "Steinmatte"
The map here show the main places of the meeting. 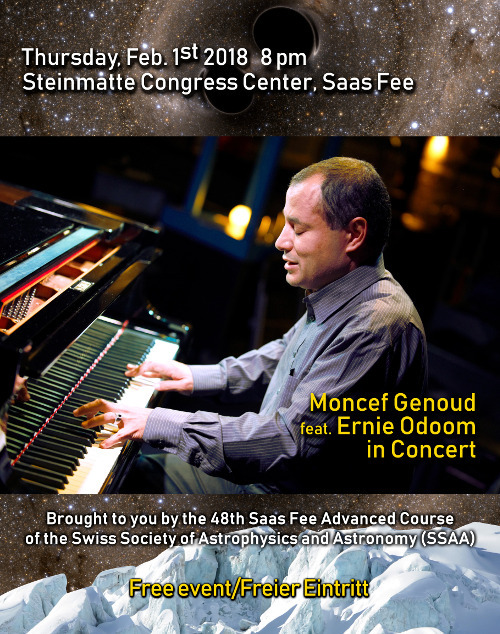 The lecture take place in the "Ferienart Hotel"
The welcome reception and the concert will take place in "Steinmatte"
All those places are reachable by foot. 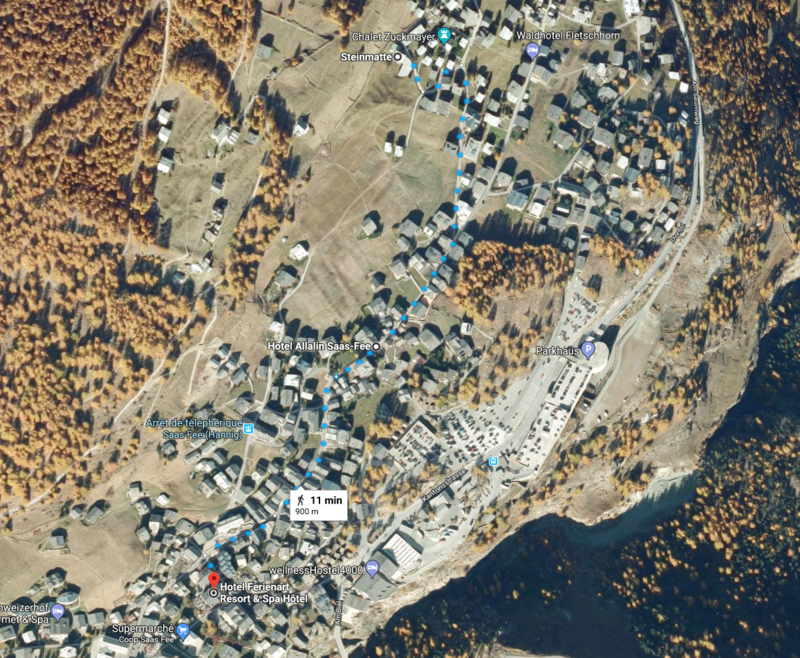 Saas Fee is a "car free" city.